When you eat plant based, there are plenty of questions you get used to after a while. One in particular that sticks out: how can you afford that? There's a common misconception that eating healthfully and meat free is expensive- it certainly can be, but definitely does not need to be. There is always a way to eliminate cruelty from your diet, regardless of your income. In fact, many less developed countries subsist on what's mostly a vegan diet (India,China,etc). Through consuming basic 'staple' foods and learning to shop wisely, you'll likely even save money in the transition. There are many videos out there proving this to be true, and I can definitely make one if you'd like. Learn to look for weekly sales in the produce section. Through buying what's in season, you'll save yourself a lot of money; your food will likely be much fresher as well. -Rice: Very affordable, and makes for an easy meal any day. -Corn: When this is in season, it's very inexpensive. -Beans: these are inexpensive and come in a variety of kinds; whether you like garbanzo,pinto,black, or otherwise, you'll likely find at least one that you like. -Breads: I have a really nice store near me where all the bread is 99 cents; you might have one near you as well, and it doesn't hurt to look when most supermarkets and grocery chains sell loaves for four dollars. -Inexpensive fruits: Depending on where you live, the cheapest fruits available are apples,bananas, and oranges. Definitely look locally and you'll probably score some deals. I would definitely recommend shopping at Aldi. This is where my family gets a lot of food, and they aren't overpriced. 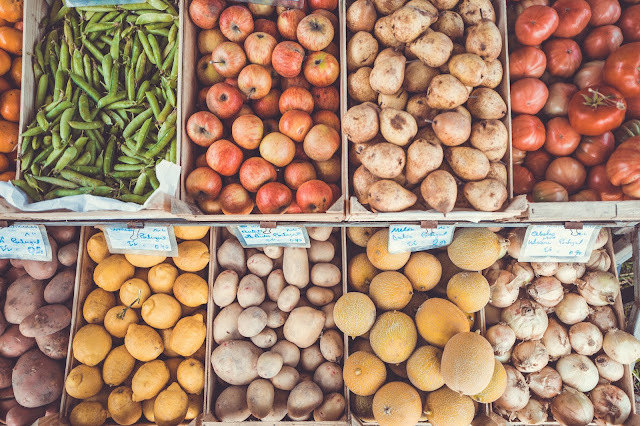 Look for local farmer's markets-even if you don't find something every week, it's a fun outing and you might find new and old friends alike. 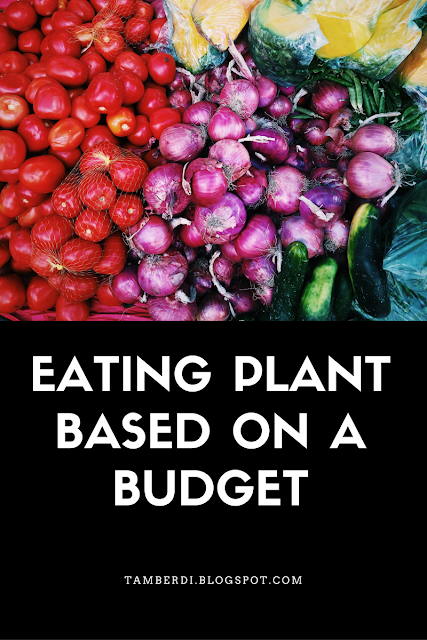 What are your tips for shopping plant-based on a budget? Comment below!